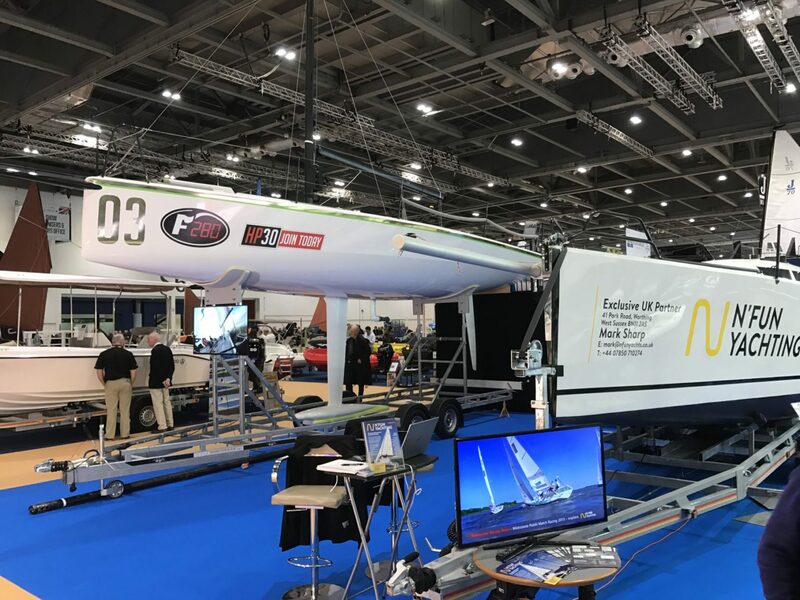 London Boat Show started on Wednsday 10th January. It will last until Sunday. All sailing yachts, motor boats, sailing equipment, cloths are located in one huge hall. Definitely two well known motor yachts brands: Sunseeker and Princess dominate over other stands. Anyway there is still place for companies like ours. We can highlight our main advantage over typical UK cruising boats. N Fun is placed on a road trailer with lifted keel. 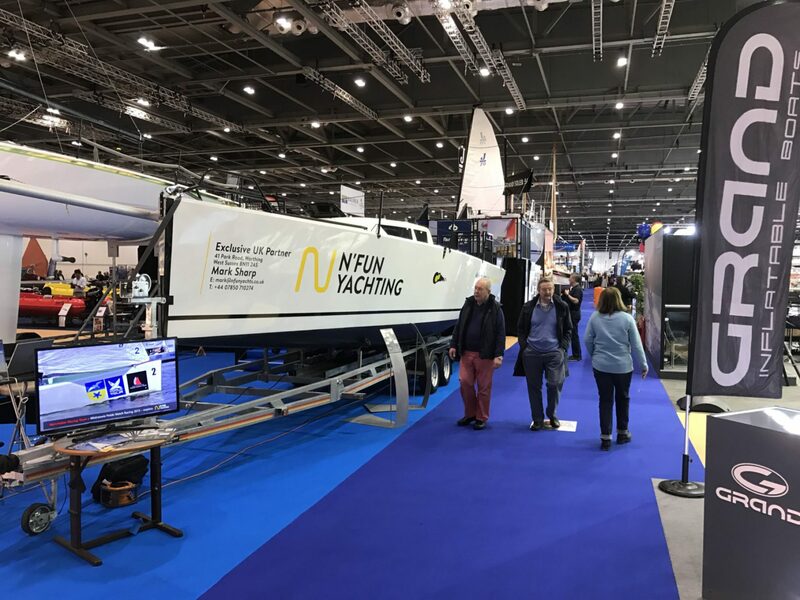 I looked all around the show and can honestly say there is no other yacht like N Fun 30 daysailer: B category fast cruiser with lifting keel. You can sail around Great Britain but you can also tow the boat with a typical 4×4 car. 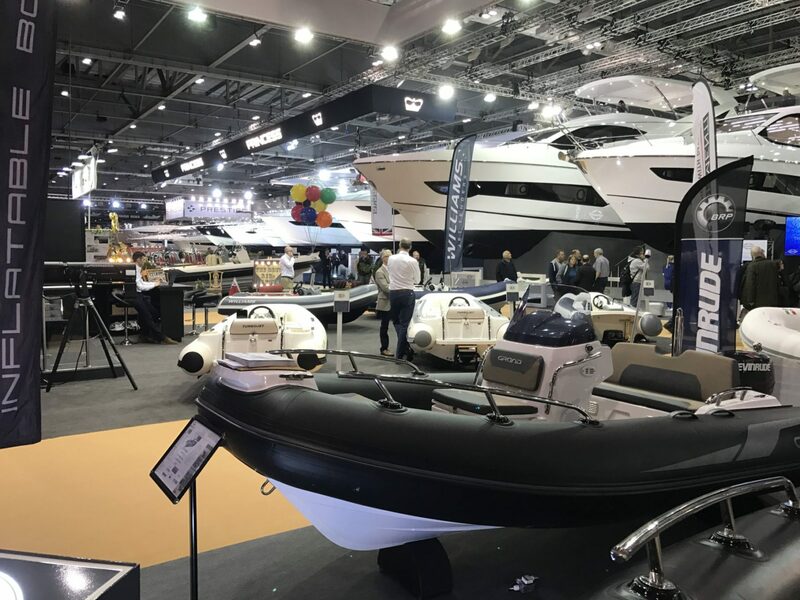 What is absolutely important for our clients: Before London Boat Show N Fun was in the water and was compared to yachts with similar IRC rating: J92S. Performance was comparable despite being in really cruising setup. 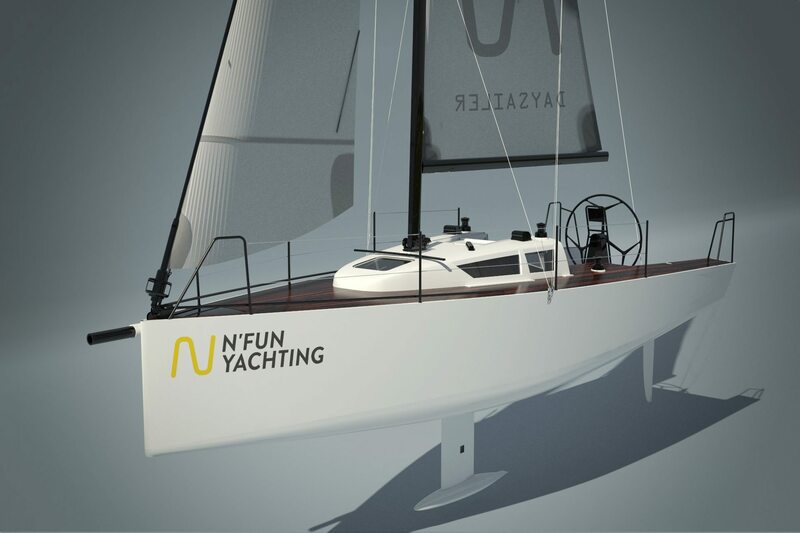 Directly after the show N Fun goes into water again and will be available in Sussex Yacht Club for test sailing. Do not hesitate to contact our exclusive representative Mark Sharp to make an appointment. 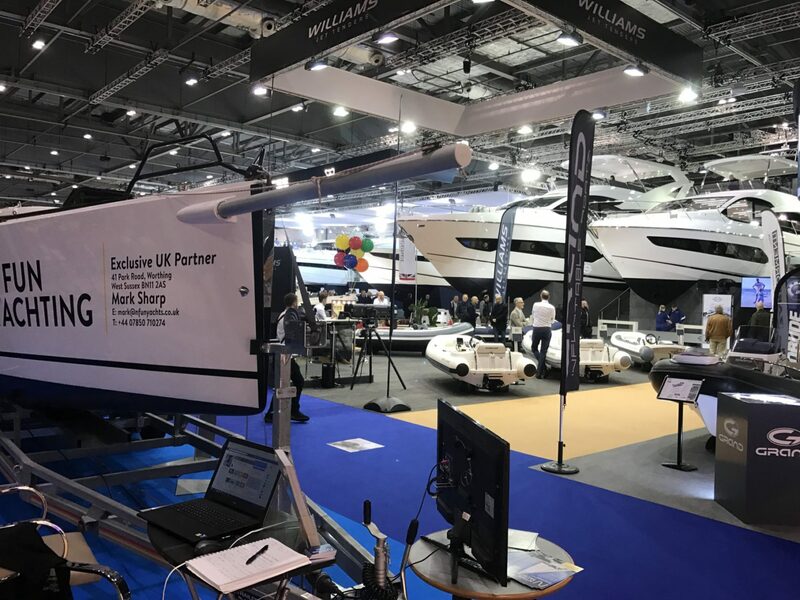 The London Boat Show opened Wednesday 10 January to a host of celebrities, global launches, hundreds of stunning boats and sporting silverware to wow visitors. Running until Sunday 14 January, the Show celebrates everything you can do and enjoy on the water. Bringing a world of inspiration and free on the water experiences, visitors are being treated to five days of the very best the boating world has to offer.